Richard Dawkins regards religion as the biological equivalent of a computer virus – a mind virus. A misfiring by-product of something useful. A set of pernicious meme complexes that undermine human rationality and prevent us functioning as the rational beings we would otherwise be. The view of Cave Hill in which Jonathan Swift, almost certainly, saw the image of rational enlightenment man. A creature he lampooned in Gulliver’s travels. Find out more about the faces of Cave Hill. There is no a priori reason to believe that we exist as rational animals with brains designed to find out truth. In fact just the opposite is true. Robert Trivers argued in his introduction to “The Selfish Gene,” (Dawkins Richard 1976) that deceiver genes should be prevalent in the human gene pool: fooling us as to our true motives, so that we are better able to fool others. Basically he was arguing that we have brains which, in certain and maybe most social circumstances are ‘designed’ to prevent us realizing the truth. There is no a priori reason to believe that this capacity to be deceived by our own intelligence exists only in religious people. However we don’t just exist as nuclear families. Child rearing takes place in the context of societies. Those who form strong social bonds are more likely to reproduce and rear children who follow suit, than those who do not. As Richard Dawkins knows well, one of the ways that we bond is on shared memes. He in fact dedicates himself to encouraging people to socially bond on the shared meme of atheism. People socially bond, not just on religious memes, but also on political and cultural ones. If it is accepted that the biological function of social beliefs is the formation of strong group bonds, it should be no surprise to find that people hold them with a non rational degree of certainty; and are either unable to see flaws in their logic, or hold them, like lovers considering deviations from perfection in their beloved, as part of the charm. Certainty can be of two kinds, emotional certainty and rational certainty. Emotional certainty is likely to be hard-wired into us, i.e. instinctive. Rational certainty, except about the non-existence of things or beings with mutually incompatible properties, for example square circles, is harder to achieve. Richard Dawkins regards irrational certainty as the consequence of religion. I would argue that irrational certainty is a likely factor in any socially held belief. The increases in reproductive fitness gained by forming strong social bonds, mean that an ability to delude oneself that the beliefs of ones social group are right is likely to have been selected for: and that therefore any socially held belief system is likely to be held with irrational certainty. This applies, maybe even especially, to the beliefs of the very intelligent. Richard Dawklns’ God Hypothesis arguments for atheism fall into this category. The rhetoric is superb, but when you extract the arguments from the hyperbole, they do not stand up to scrutiny. When religious people make risible arguments in support of their beliefs, it is possible that the problem is either lack of intelligence, or a lack of respect for rationality. With Richard Dawkins neither of these conditions apply. If Richard Dawkins arguments do not stand up to rational scrutiny, then it provides evidence for the claim that he is self-deceived, in a way that is consistent with the operation of a Trivers type gene. This claim is falsifiable. 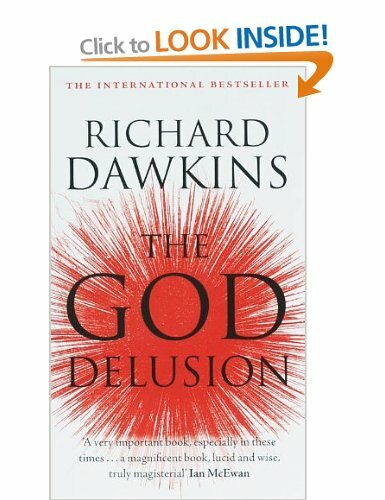 All that is required is that Richard Dawkins provides a rhetoric free coherent account of his beliefs, that tallies with the claims he makes in “The God Delusion,” or admits that he was just having a joke at our expense. Otherwise we are scientifically entitled to draw the conclusion that the evidence for the devil (innate deceiver) lies in the details, and that Richard Dawkins rational integrity has been subverted,by a selfish gene. Please note that the following argument is for the devil not for God. Demonstrating that Richard Dawkins’ arguments for his socially held beliefs are irrational does not and cannot prove that the conclusions are false. It provides evidence that irrational belief is not limited to God botherers, and supports the theory that socially held beliefs can in some circumstances trigger off an instinct for self – deception. Richard Dawkins claims that his position is the rational one – Temporary Agnosticism in Practice, or T.A.P. However the definition he uses for God, means that it isn’t a scientific question at all, just one of basic logic. Therefore all gods are fictional beings with fictional powers. That someone as intelligent as Richard Dawkins can, in the circumstances, make such a simple logical error is prima facie evidence, for the existence of a Trivers type deceiver instinct. Richard Dawkins does not argue that it is impossible that the universe could be the creation of an intelligent being or beings, he merely argues that such a being would not be, by definition a God. Producing a lot of sound and fury, over what turns out not to be a matter of fact at all, but merely definition. Arguing, as he does, that the logically impossible has a small probability is an act of lunacy, of the kind which Dr Dawkins associates with religion, but which the evidence he provides, demonstrates to be part of a much wider problem. The crucial difference between gods and god-like extraterrestrials lies not in their properties but in their provenance. Entities that are complex enough to be intelligent are products of an evolutionary process. No matter how god-like they may seem when we encounter them, they didn’t start that way. Science – fiction authors, such as Daniel F. Galouye in Counterfeit World have even suggested (and I cannot think how to disprove it ) that we live in a computer simulation, set up by some vastly superior civilisation. But the simulators themselves would have to come from somewhere. The laws of probability forbid all notions of their spontaneously appearing without simpler antecedents. They probably owe their existence to a (perhaps unfamiliar) version of Darwinian evolution. Again Richard Dawkins is making a very simple logical error, one that you would expect someone as intelligent as he is to spot easily. The laws of probability are not logical necessities. They are constructs based on empirical evidence. If we are in fact part of a computer simulation, then our scientific constructs are based on how that program has worked in the past. There is no reason to assume that these laws operate outside the program, or apply to the designer/s of the program. This error is the logical equivalent of arguing that if a computer game allows avatars to die three times, before they are permanently dead, then the same must be true for the designer of the program. The devil truly is in the details. Something is interfering with Richard Dawkins ability to think rationally. While I cannot logically prove that he is not being manipulated by an extra – terrestrial computer program or programmer, I have no need for that hypothesis. I am quite happy to work on the assumption that no reason to believe is a good reason not to believe. If Richard Dawkins is not deliberately operating to deceive his public, then he is self – deceived. Occam’s razor demands the use of the simplest possible explanation for his condition. Lack of intelligence and a general inability to think rationally can, except for recent damage, can be ruled out in his case. This condition interferes with his logic, when he is arguing for the truth of his social identifier beliefs. Social identifier beliefs operate to strengthen social bonds. An inability to see flaws in their socially held beliefs is likely to have increased his ancestors reproductive fitness. Therefore we have prima facie case for the operation of a Triver’s type deceiver instinct. God and gods are beings who use supernatural powers. Supernatural powers are fictional powers, belonging to fictional beings such as fairies. Therefore all gods are fictional. But you can’t say this, because you can’t prove that anything definitely doesn’t exist, e.g fairies. If you can’t prove that they don’t exist, then you must think that there is a probability of their existence. Therefore there really is a probability of their existence. However this probability is extremely small, and as we don’t know that anything exists outside the multiverse, we can take it for granted there is insufficient there to allow for the existence of an intelligent Being or Beings, capable of bringing the universe into existence. Even if, unlikely as it seems, I’m wrong and such an intelligent being (or beings) exist, then he, she or whatever will not have used supernatural powers, because supernatural powers are fictional. Therefore as gods are beings who use supernatural powers, this being will not be a god. This conclusion can be further confirmed by looking at the incoherent arguments put forward by theologians and other irrational faith heads. Believing that which cannot be rationally proven is dangerous. Therefore all rational people must eschew the pap that is agnosticism, and work to eradicate the source of irrationality – religious belief – from the world. P.S. If you dear reader can produce a more coherent paraphrase of Richard Dawkins, God Delusion, do please leave a comment.